Our daily collection of love quotes will help you speak your partner's love language. We have all heard that old saying, "actions speak louder than words" but nothing is more magical than sharing your true feelings. 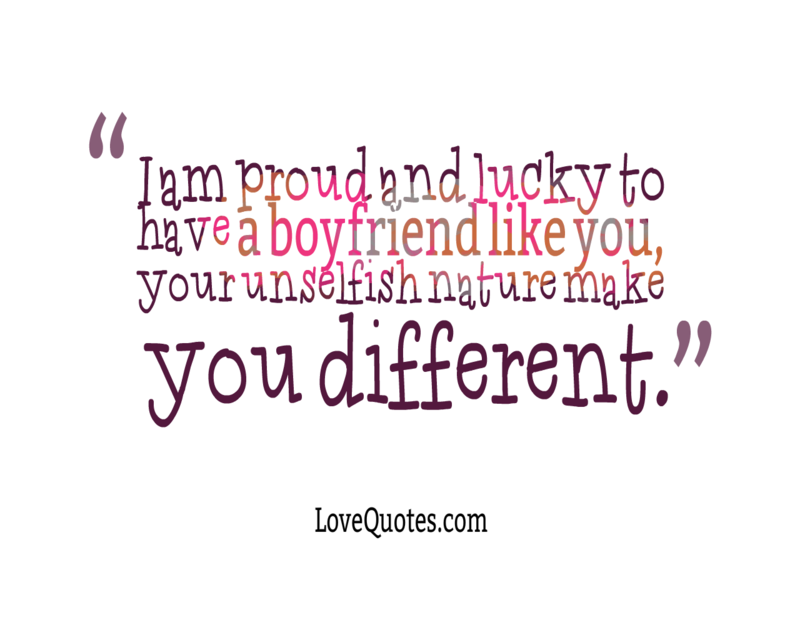 I am proud and lucky to have a boyfriend like you, your unselfish nature make you different. 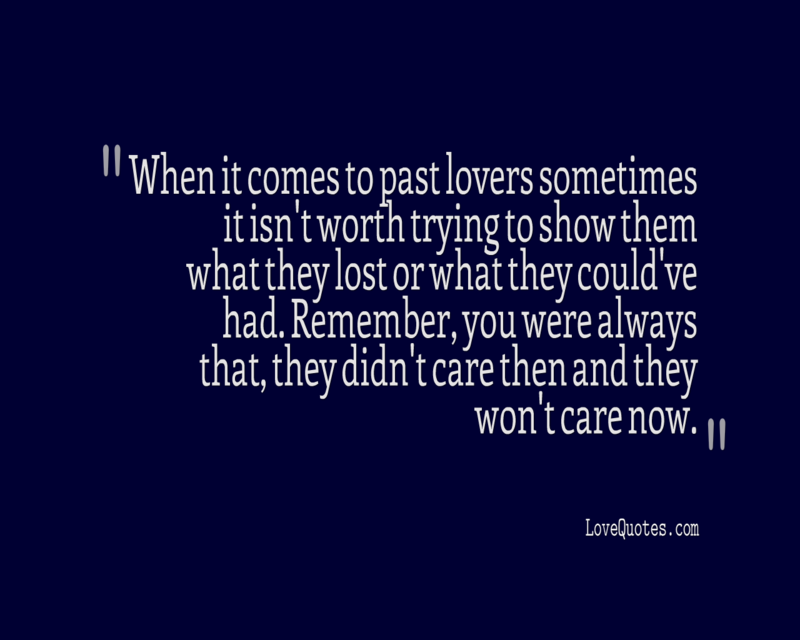 When it comes to past lovers sometimes it isn't worth trying to show them what they lost or what they could've had. Remember, you were always that, they didn't care then and they won't care now. When we fell in love my hands no longer became mine but only yours to hold. The emotions that come from new love may leave you feeling overwhelmed by excitement and anticipation. You may not be able to find the words to express your feelings. Let us help. 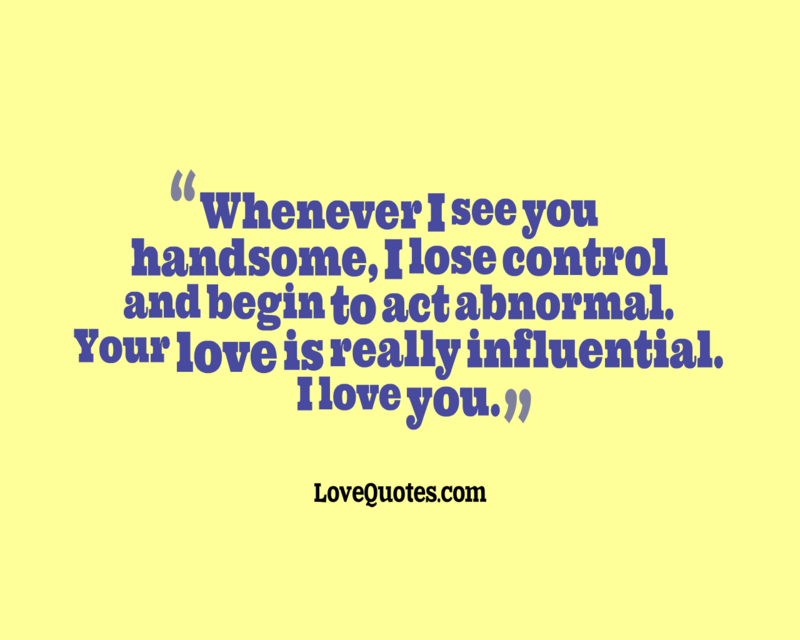 Whenever I see you handsome, I lose control and begin to act abnormal. Your love is really influential. I love you. I hear you're asking all around, if I'm anywhere to be found. 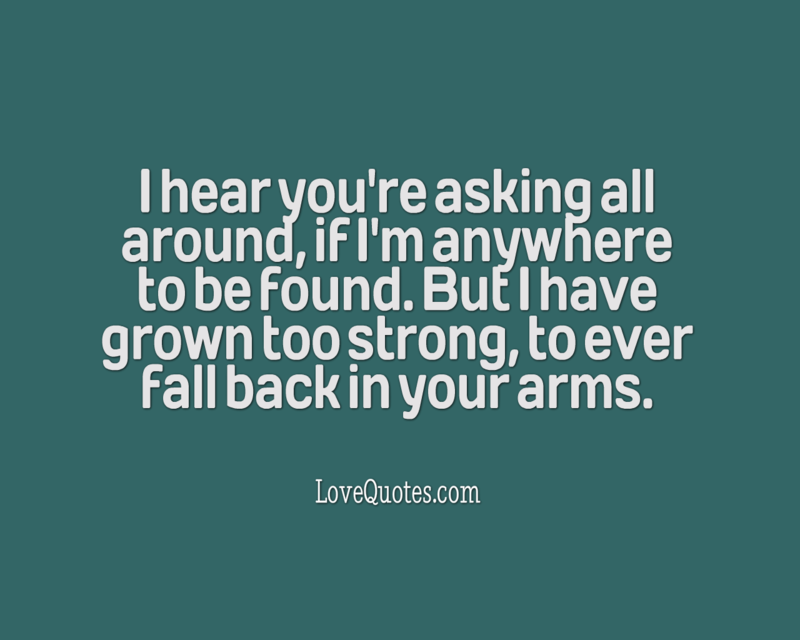 But I have grown too strong, to ever fall back in your arms. After some time together, that excitement can subside and you feel more secure in your relationship. This is such a special time as your relationship grows into a more mature love. It's just as important to share your love daily. The moment we became one, my lips were no longer lips but only yours to be able to kiss. Having a boyfriend like you is the only way to experience true love and the only way to see life’s beautiful view. I love you. Thank god we're over. Thank god we're through, I was so sick of being with you. I love quotes on new love and mature love and every quote that falls in between. I know that here you will find the perfect love quote to share with your true love.